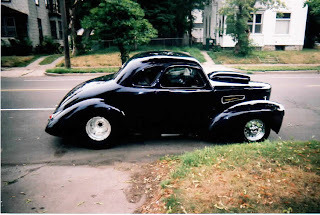 FOR SALE: 1941 Willys coupe. Steel body, hood, center section, front fenders. 'Glass rear fenders, decklid. Car is all Pro-Street. PPG Blue Pearl paint. Motor is a 392 Hemi; 727 trans (built by Wheeler Enterprises). Rear 9" Ford with 3:50 gears, 4-link, coil overs QAI's. Tires are M/Ts (31 x 18.5 on 15 x 24 rims). Frame is 2" x 3" custom with custom Mustang front and coil overs. 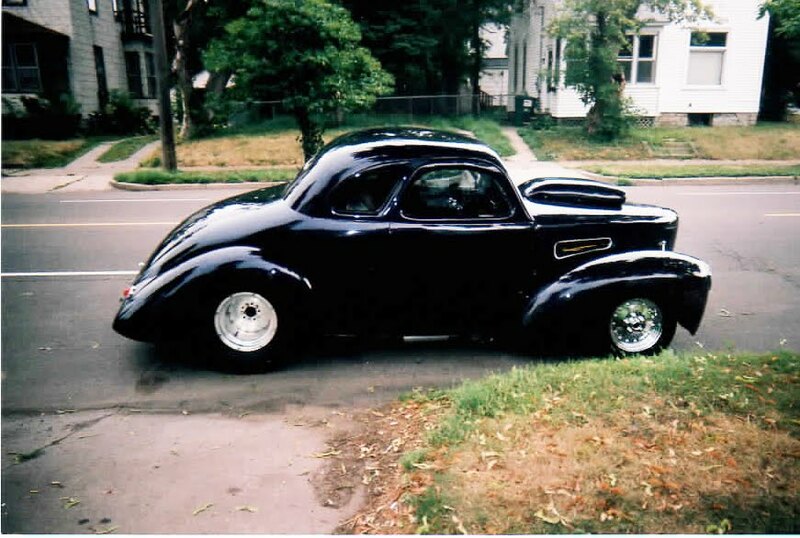 Car was a 4-door sedan made into a 5-window coupe. It is very popular and has 38 First Place awards. It is driven on weekends and to out-of-state shows. It will go ANYWHERE and oes NOT overheat. Due to family health problems, I have to sell my baby.